The “Self – Image – Public” seminar was held in Oslo on the 1st and 2nd of October, and featured two members of the Visual Social Media Lab – myself, and the seminar’s organiser, Lin Prøitz. The theme of the seminar was photographs of the self: not just selfies, but also self-portraits, and how these images were taken and used by artists as well as the general public more widely. The first day featured a number of papers by researchers and artists, who either studied self-portraiture or used it within their work. Larissa Hjorth began the day by discussing selfies as a form of affective witnessing, using the example of the 2014 Sewol ferry disaster in South Korea, where 304 people died, many of which were high school students. Hjorth considered the ways in which the images and film shot by students as the boat began to sink were later used by their loved ones within their process of mourning. In particular, she argued that these images enabled a form of co-presence between the mourner and the victim, and acted as a space for the mediation of memories and intimacies at both a personal and political level. Amparo Lasén focused on the role of technology in fostering and expressing intimacy, in terms of the way in which digital devices are used to express relationships and materialse our interior lives. She argued that embodiment incorporates the way in which we learn to become attached to other people and things, including technology, and that such attachment is intergral to rituals of intimacy. Mette Sandbye discussed Purikura, a form of self-portraiture favoured by Japanese school children, in which images taken in a photo booth can be manipulated, printed and shared with others. As Sandbye argued, Purikura act as a locus of negotiating the body and gender, particularly with respect to the cultural codes expressed through the pose, as discussed by Kaja Silverman in her work “The Threshold of the Visible World”. Furthermore, Purikura are also a space for enacting interpersonal relationships, as the taking of images became a social event, particularly on special occasions and after school. Thera Mjaaland’s use of self-portraiture in her work spans several decades. In a series of images, Mjaaland faces the camera that she holds at arm’s length – a distance that renders the photograph slightly our of focus. We see her context change, as well as her face – changes that Mjaaland discusses in relation to the relationship between travel, experience and self-knowledge. Kristoffer Eliassen – a co-organiser of the seminar – explored his approach to selfies that appear in his ebook (written with Prøitz) #Selfie. His images feature a lighthearted look at selfie taking, that both critiques celebrity culture, and highlights some of the more farcical uses of self-portraiture. 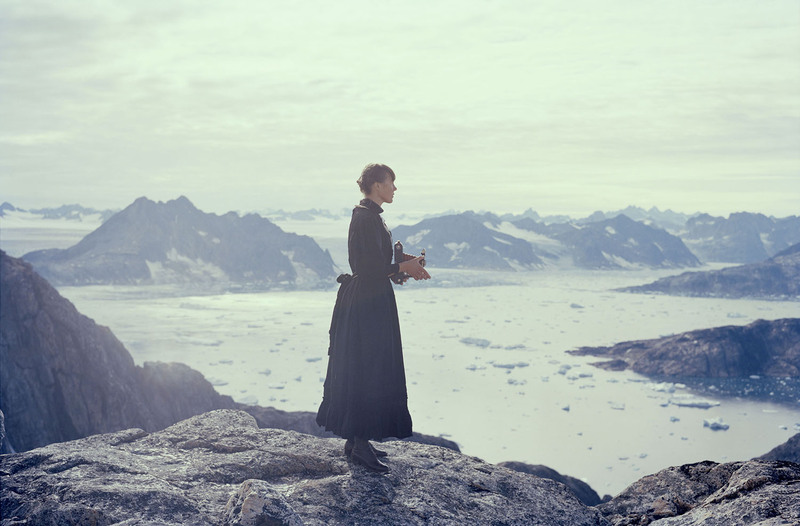 Tonje Bøe Birkeland discussed her work “The Characters” – a combination of writing and photography that sought to reimagine the lives of female explorers around the turn of the 20th century. Self-portraiture was just one aspect of this process, in which Birkeland travelled to various destinations – including Bhutan and Mongolia – along with period dress and props, as a way of physically embodying the characters she was creating. Marie Sjøvold talked about her work “Dust Catches Light” and “Midnight Milk”. The first of these works featured a revisiting of her grandparents’ home once they had moved into care, taking with her lifesize printouts of them in order to resituate them, alongside Sjøvold, in their home. “Midnight Milk” turned to Sjøvold’s experiences of motherhood, in which self-portraits of her body and of her children, expressed a variety of changes both physical and emotional. Louise Wolthers looked at contemporary, lens-based, surveillance practices, including the practice of sousveillance – a form of counter-surveillance in which the monitored obtain the means to watch their observers. Here, practices of monitoring become not just distributed but also normalised, as an everyday part of urban social life. On the second day of the seminar, delegates visited Preus, Norway’s national museum for photography, to attend the launch of the #Je (#Me) exhibition. This exhibition brought together artists that had presented the previous day, as well as many others, including refugees from Syria, Afghanistan and Iraq, Samir Alhossein Almhaimd, Mohanad Hussein Ali Asghar, Ali Riza Mohammadi and Radwan Hamadi, who discussed their use of photography to both maintain contact with their families, and to reflect upon their journey and their new home. By bringing together a range of artists and researchers, this seminar provided a comprehensive look at the way in which images of the self are used within contemporary culture. I was ever so glad to be given the opportunity to attend, and to present, because it again demonstrated to me why I enjoy studying this diverse and rapidly changing area of photography so much. Image credit: Tonje Bøe Birkeland, from The Characters.